I am working with Calontir Trim to provide something truly special for our costumer and garb clients. 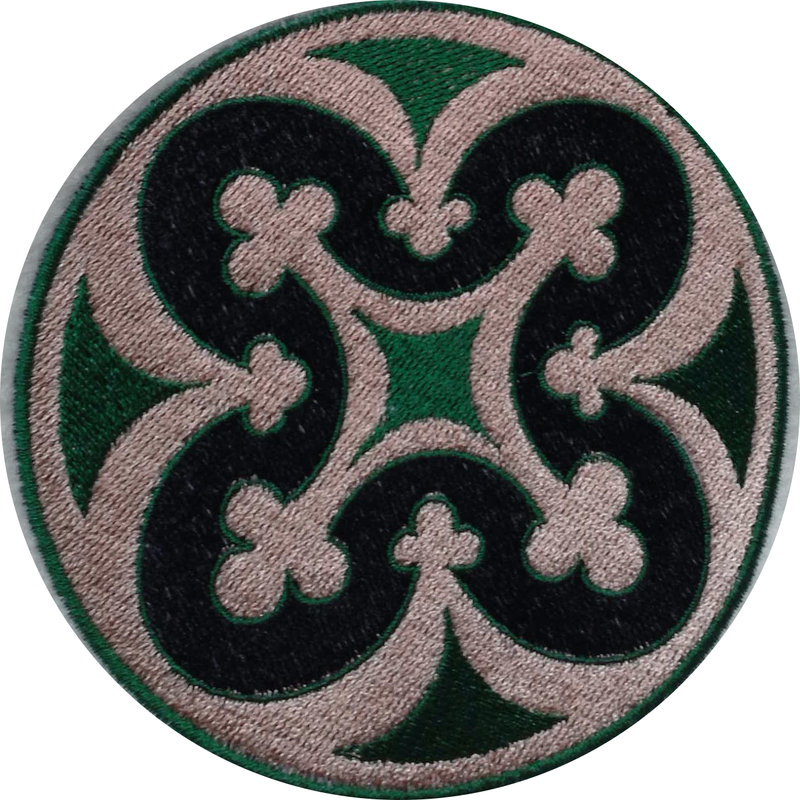 This embroidery matches their trim allowing you to create a piece with a large center motif that is echoed in the trim. I have included a scratch sheet to give you an idea of how the art looks in different sizes. Embroidery Files: If you have access to a machine, you can embroider directly on your fabric. See listed here the files I have posted so far. If you don’t see the size of file type you need, send me an email. The file is set up in layers so that you can use all or part of the design in your work. 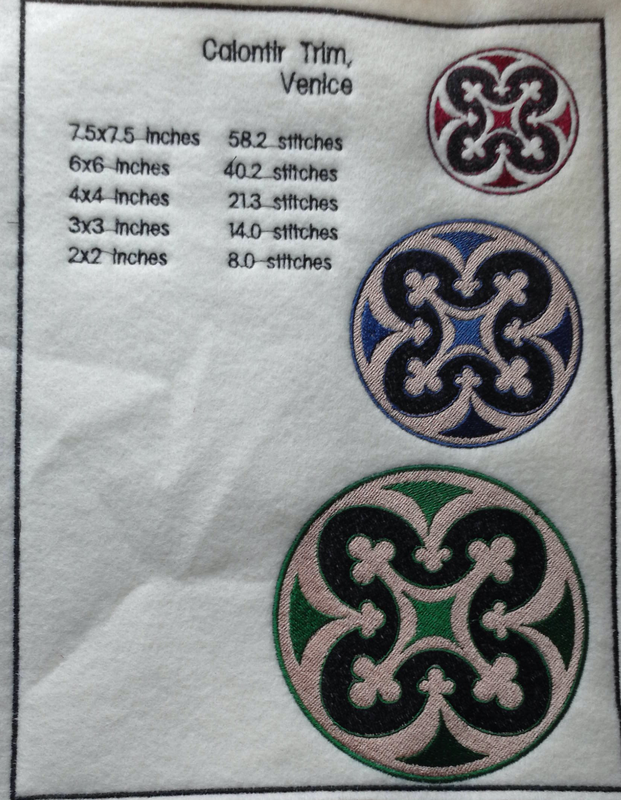 Patches: The patches are made custom for you, so the price depends on the size and the amount of fill. A 2 inch circle full fill, is $8.00. A 7.5 inch full fill circle is $58.20. A 2 inch circle with partial fill like in the red photo is $5. Because color can vary from lot to lot, send me a small bit of the trim so I can match your colors exactly. Your Fabric: You also have the option of mailing me your fabric, and I can do the embroidery for you. Make sure to contact me first, as there are limits to what I can do. Prices are the same as for a patch.